John Painstil have confirmed the purchase of Kwesi Nyantakyi's Wa All-Stars with his team of investors. Reports emerged early this year that the 2016 Ghana Premier League champions had been sold for US$ 3m. However, management of the rubbished the reports and insisted the club is not for sale. 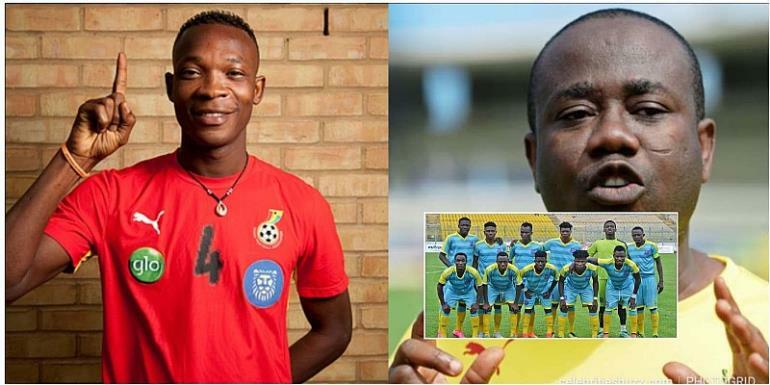 In a statement, John Paintsil described recent rumours of the club pulling out of the Normalization Committee’s (NC) Special Competition as false. “We wish to inform the general public that the said publication is false and should be treated as such,” the statement said. According to the former Fulham star, the unfortunate ban from FIFA for the former Ghana FA President, barring him from all football-related activities informed the transfer of shares in the Wa-based side. The former CAF 1st vice president has proceeded to seed all interest in the club to Paintsil and his partners, while all legal procedures are being followed to complete the ownership switch. “We will, in the course of time, outline the measures we will implement to ensure that the club becomes not only the best in Ghana but Africa,” the statement further said. From hence, all matters related to Wa All Stars will be directed to the former Black Stars defender, who has also expressed gratitude to Mr Nyantakyi for developing the club thus far. The former Black Stars and Fulham right-back has now confirmed the deal has been sealed and will take charge of the Northern Blues. The former West Ham and Maritzburg United right-back currently owns a Division Two side JohnJu FC.